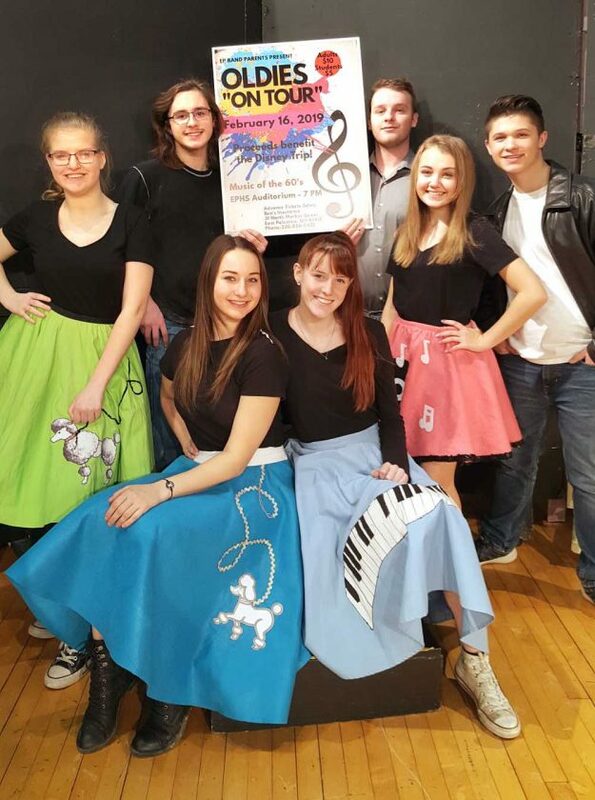 Submitted photo “Oldies On Tour” featuring local talent rocking around the clock with music from the 1950s and 1960s will be presented at 7 p.m. Saturday in the East Palestine High School auditorium. Tickets at $10 for adults and $5 for students are on sale at Bea’s Insurance. They also will be available at the door. Proceeds benefit the EPHS band’s trip to Florida. 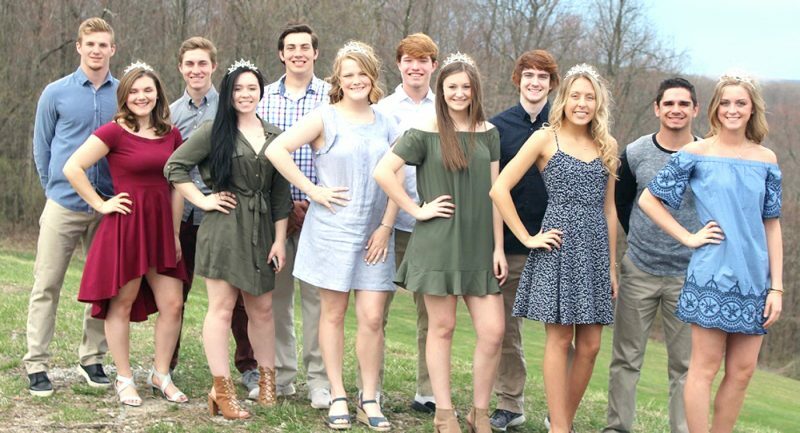 Shown are band members (seated) Taryn Patterson, Amanda Wilson (standing from left) Piper Lambert, Brian Dunlap, Glendon Dowd, Caitlin Bable and Cooper Figley. The 1838 Museum/Meeting House in Winona is open to visitors each from 9 a.m. to noon Tuesday. The museum, operated by the Winona Area Historical Society, is located on the corner of Winona Road and Cameron Street, and the building is handicap accessible. Among the displays of local interest are military service items, flax scutching remembrances and tools, school pictures from one- and two-room schoolhouses and more. Admission is free. The Crestview girls basketball program will host a “Princesses and Pirates Party” from 11 a.m.-1 p.m. Saturday in the elementary gym. Attendees will meet Disney princesses and pirates complete with a dance party, games, activities and snacks. The cost is $15 for pre-pay or $20 at the door. For more information or to prepay call Aaron Blatch at 330-853-1943. Arbogast Studio, 503 Pittsburgh St., Columbiana will host the program Essential Oil Basics and Beyond from 10-11 a.m. and 1:30-2:30 p.m. Monday. Another program, Essential Oils Make & Take for Immune Support, will be held from 10-11:30 a.m. on Saturday. Both are free and open to the public. Those with questions can call or text Karen at 330/692-6640. Kimberly Kenney, curator of the McKinley Presidential Library and Museum, will be the guest speaker at a tea party at the Salem Library at 2 p.m. Feb. 15. The program topic is “Something Borrowed, Something Blue: A History of Wedding Traditions.” Seating is limited; registration is required at 330-332-0042. The Lepper Library in Lisbon will host Just Breathe Studio from 4-6 p.m. Tuesday. It will be offering a variety of stations for wellness. There will be a chair massage, Kansa wand station and aroma therapy/essential oil station. Call 330-424-3117 to register. The CAA will be taking applications for the Winter Crisis Program now through March 31, at 7860 Lincole Place. Appointments can only be made by calling the automated scheduling system at 1-844-493-1198. Stay on the line to get a confirmation number. Homebound and seniors 60 years and older may call 424-4013 for appointment assistance. A limited number of walk-ins will be seen starting at 8 a.m. on a first come, first serve basis Monday through Thursday, with scheduled appointments beginning at 9 a.m. On Fridays, more walk-in appointments will be seen.